The end to a partial shutdown of the U.S. government last Friday has paved the way for working-level talks between Washington and Pyongyang to resume as they prepare for a second summit. 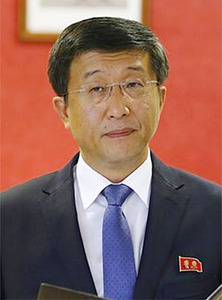 A diplomatic source in Washington on Monday said there is a "strong chance" that officials from the two sides will meet in early February. 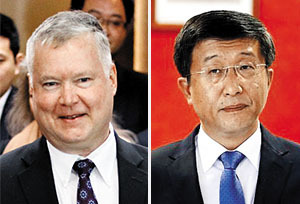 Stephen Biegun, the U.S. special representative for North Korea, and his new North Korean counterpart, Kim Hyok-chol, are expected to meet in the border truce village of Panmunjom here. But U.S. pundits increasingly believe the summit should be postponed if working-level talks fail to produce a concrete commitment to denuclearization.